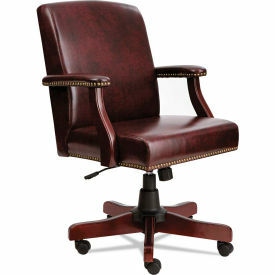 Traditional styling with brass nailheads. 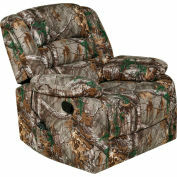 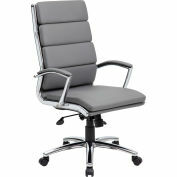 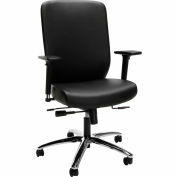 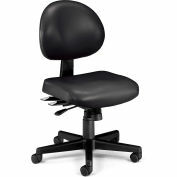 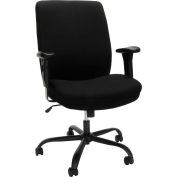 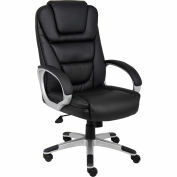 Mid-back swivel/tilt chair. 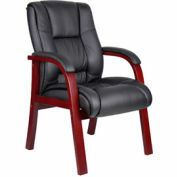 Hardwood frame with a rich mahogany finish. 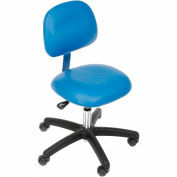 Padded arms for comfort and support. 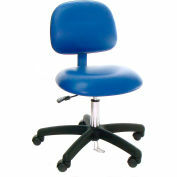 Steel reinforced wood five-star base with casters for easy mobility.